The much promised good governance of the 100-day government of Sirisena-Wickremesinghe has come to the end of its promised period. No dissolution of parliament as expected has taken place. A confident president went on national media and claimed a successful 100 days of governance. The promise of dissolution of the parliament on the 24th of April and early general elections is unlikely to happen until the 20th amendment to the constitution is passed and sufficient time is allocated to conduct the next general elections under the Proportional Representation (PR) system at the district level to a mixed First-Past-The-Post (FPTP) and PR system. The majority of Sri Lankans who elected the incumbent against all odds were treated to unprecedented uncertainties during these 100 days. The end of the current government’s 100-day programme has not yielded the promised results as expected, even though people are able to sleep in peace, devoid of the Rajapaksa tyranny. The SLFP led UPFA called the shots in parliament during this 100 days and made sure that the Sirisena-Wickremesinghe was held to ransom at every opportunity so that the corrupt and criminals among them would go scot free. Their trump card was their majority in parliament. President Maithripala Sirisena failed to use his executive powers to take control of the political chaos and ensure proper governance. Will President Sirisena pay the price by becoming a President under siege in the next parliament, should Mahinda Rajapaksa manage to get a sizable representation through a now inevitable coalition of political discards of the UPFA that he would lead? Fragmentation of the Sri Lanka Freedom Party votes is likely to ensure a long stay in opposition for those who will remain in Maithripala’s SLFP and Mahinda Rajapaksa’s coalition. The record book of the Sirisena-Wickremesinghe administration over the last 100 days has had mixed results. The President and Prime Minister have claimed much progress, yet the most important promises of repealing the 18th amendment to the constitution and passage of the 19th amendment are yet to be realized. Inquiring and prosecuting those involved in corruption, violations of human rights, appointment of independent commissions, and reestablishing the rule of law could be realized only with the passage of the 19th amendment. Even though the Commission to investigate corruption was appointed two weeks ahead of schedule on the 22nd of January 2015, the big sharks have managed to escape from prosecution. With all the evidence the government claims to posses on various politicians of the former regime, not a single arrest has been made. The loot, the Rajapaksa’s had supposedly stolen has not been recovered and have probably been neatly stacked away in the 100 days of grace offered by the Sirisena-Wickremesinghe nexus. The main platform slogan of the common opposition was the widespread corruption and the interference in the rule of law by the Rajapaksa regime. Even though there have been hyped up complaints against the family and their cronies with various enforcement arm of the government, action is yet to be initiated. This is seen as the biggest failure of the good governance promised by Maithripala Sirisena. Further, in its efforts to ensure the passage of the 19th amendment to the constitution, the most corrupt members of parliament from the previous administration have been embraced to join the national government by offering them ministerial portfolios and perks. This is contrary to the promises made by the common opposition in the run up to the election that eliminated the Rajapaksa misrule. The defeat of the dictatorial regime of Mahinda Rajapaksa dynasty on January 8th 2015 was a dream come true for most Sri Lankans. There was a sigh of relief from the ethnic minorities that the dark days of hate and racism were over. There was renewed hope that they would be able to be truly part of the Sri Lankan state. The end of the war in 2009 and the winner takes it all attitude of the Rajapaksa’s drove away any chance of reconciliation with the Tamil population. The war winning government that had a golden opportunity to win over the support of the Tamil population by being magnanimous and offering concessions that would have addressed the root causes of the 30 years of turmoil were not exploited. Instead, the Rajapaksa’s destroyed this opportunity by their blatant harassment of the Tamil population and militarization of the entire Northern region. The Tamil population, on January 8th 2015 overwhelmingly used their vote to send home their tyrants. The Muslim community that stood for a unitary state and supported the government during the ethnic conflict ended up being the new front for the racist elements of the Rajapaksa regime to unleash their wrath. The Muslim population was victims to over 500 incidents of threats, intimidation and violence against their religious and cultural practices. A number of extremist Buddhist groups were unleashed against the Muslim community to attack them with impunity. The Muslims ensured that the Rajapaksa’s paid their price by sending them home on the 8th of January 2015. The Christian community too came under unprecedented attacks during the Rajapaksa regime. They too continue to live in fear. Demands for a commission of inquiry in to the hate campaign and racism have fallen on deaf years. 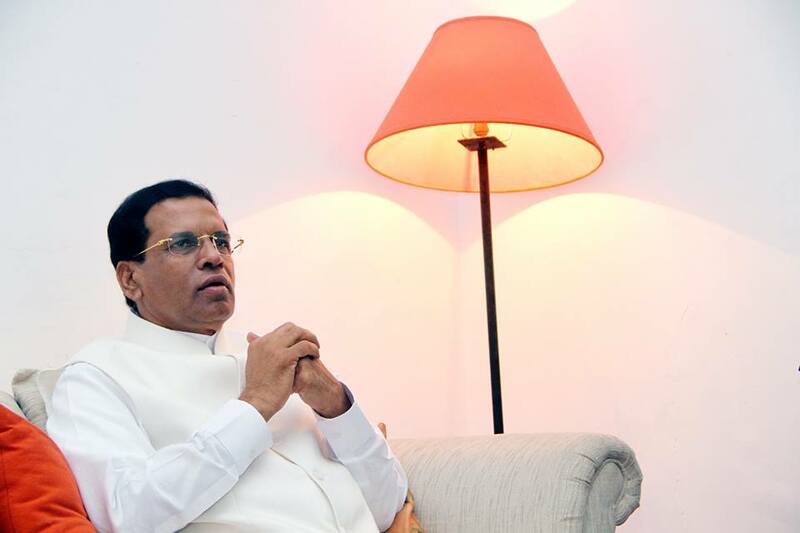 While there is still hope that the incumbent will stick to the promises made in his election manifesto, implementing them is becoming a challenge because of the stranglehold the Sri Lanka Freedom party has over the Sirisena-Wickremesinge administration with its huge majority in parliament. There are promises of consensus on the way forward, but early general elections may be the only option left to bring in the good governance promised under a new Sirisena-Wickremesinge government. Jaffna VC Bans Academics From Discussing Dr. Hoole's "From Rajani To War's End"
Hilmy, what you forget is that majority of the Sinhala voters voted to send the Rajapaksa’s home. Today, they are a disappointed lot because the promised commissions of inquiry has not inquired and sent the Rajapaksa’s behind bars. If the Rajapaksa’s had won, they would have sent Sirisena and a million others to the gallows. Now, they are organizing goons even when there is the slightest threat of an inquiry. Gota thanked protesters who came forward to defend him at the bribery commission. This alone should be enough reason to arrest him because it was contempt of court to have the protest after the court banned any demonstrations. Upali do your maths before open the mouth and say “majority of sinhala voters voted to send MR home”. That may be your wish but not the truth. Yes MR lost the elections but the majority sinhalese – 58% to be more precise – voted in favour of MR.
A somewhat pessimistic but not entirely unfaid balance sheet. Where is Sajith Premadasa? Is he DEAD? Can the loot return the ex-Ruling family back to power by the ballot box? Sirisena will soon do a deal with Mahinda and Ranil wil be dropped. I have a different view to Hilmy Ahamed. Why is the performance of 100 days viewed as if it is a whole presidential term? 100 days is only a little over 3 months. If not for the ‘horuwenuwen horu’ culture of the SLFP opposition, 19A too would have been passed. Obviously SLFPers thought that there is a resurgence of public support for the former president and it would be a wise move to disrupt parliamentary proceedings making the government members look impotent. The government calmly took the issues in their stride and made the SLFP/PA look ineffectual putting pressure back by moving against MR, Gotabhaya and Basil. In my assessment the government has won more potential voters. In the president’s speech he missed out on some of the achievements on health ( National Drug Policy and increased allocation of votes for healthcare), education, wage increases, reducing commodity prices, etc. However the achievements in foreign relations inter racial peace, and ensuring judicial independence are by themselves enough for 100 days and will be obvious to all except the foolish. All in 100 days. Fantastic change. Well done! Kabir Hashim and Harin Fernando did the needful on Balaya last night ! It exposed Rohitha and Mahindananda as uneducated idiots !! The present Government inherited a totally corrupt infrastructure, where all those who aligned themselves to the rogue President and his cahoots were given pride-of-place in all positions that matter. The foreign service, the forces, Government departments and the list goes on – all of the people on top of these service oriented bodies were compromised enough out of fear OR for favour. In such a scenario, the current President’s and Prime Minister’s instructions are not carried out as should be – as the people who have got the instructions have been compromised in one-way or another! What needs to be done is the Herculean task of cleaning the stables – before ” GOOD GOVERNANCE ” can be established. This is a task that each and every one of the Citizens of this Country have to contribute to. The Citizens however are being fed half truths and full lies by the media utilising their rights to the freedom-of-expression. Everyone knows that news that sells is – sensational news – and our journalist are expressing all the sensationalism they can with twists so that they would get more clientele than their competitors – WITHOUT ANY SENSE OF RESPONSIBILITY! The goons of the rogue President have identified themselves in Parliament – in the bring back Mahinda meetings and with the FPP – they don’t stand a chance of coming back. That explains why the rogues want the ROGUE back in power. In this context, the 100 days have been utilized to identify which stables need cleansing first and it has to be done in such away that it does not amount to political victimization. The current regime has accomplished far more than could have been asked for in these 100 days. —– They have the rogues worried enough to expose themselves, by their present behavior. The Author has shown his contempt to the previous regime and he being from the minority community aptly supported the current regime in place. 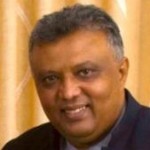 The fact that he and many like him do not understand is that a large majority believe that the minorities robbed them of a Sinhalese President because the current dispensation runs around the town with its tail on fire trying to appease the diaspora and the minorities. Mahinda will have the last laugh in the next election. The fact that the 20 something UNP parliamentarians who crossed over to PA during Mahinda’s time did not jump back to UNP is the indication of what the voters have in store in their electorates. The fact is this Author and many like him do not take this into consideration. Patriot, you show your true racist colours. We too are not minorities and we voted against the racist Mahinda. So, dont blame the minorities for chasing away the vultures. Racist like the patriot are the ones who deprived my third term. The Norwegians paid one million dollars to Gnansaara through fjertoft and destroyed me. Patriot, Just to make a correction. The Sinhalese were not deprived of a Sinhalese president. Certainties are guaranteed in North Korea. Any healthy democracy always filled with political Uncertainties. It is our poor Sinhala Buddhists who got reamed for the first one hundred days by the Bo Tree hugging Sirisena and the Whisky Madam’s cousin the unelected PM?. 30 years of instalment payments to Singapore Mahendran’s Son in Law for lending us LKR 500 Billion at 3 % above the market rate. 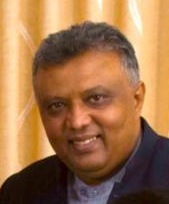 Sira’s brother on 12 Million LKR a month to .occupy the Chairman’s seat of the Telecom which rakes in big money. Rani’s Missus best Buddy to hound the Rajapaksas, while allowing Kudu Mervyn and Half Brain Duminda to roam around Colombo, like the best MPs and Ministers from the previous Regime. What does Ahamed got to whinge about when his clan is raking in big bucks by selling cheap rags to poor Sinhala Buddhists and settling Muslims in traditional Buddhist holy places under Yahapalanaya.